Sandwiched between two bona fide titans in Avengers: Infinity War and Solo, Deadpool 2 no longer faces the tricky task of opening under the shadow of a Star Wars film, while the move away from the original’s February release window is indicative of Fox’s box office ambitions. It also means that the sequel will have a tougher time due to the increase in competition. Will it be able to achieve the same glory that its predecessor did, then? That remains to be seen, but at the moment, things aren’t looking too good. And that’s because we’re learning today that test screenings have begun and unfortunately, audiences don’t seem to be taking to the film too well, with the studio apparently stunned by their reactions. Before we go any further, we advise taking this all with a grain of salt, as test screenings aren’t always indicative of how the final product will turn out, but regardless, here’s what we’re hearing. It all began when blogger Jeremy Conrad took to Twitter to post the following update: “Fox screened Deadpool 2 tonight (not Dark Phoenix again) and…yikes! First reaction wasn’t what I expected to hear.” Not stopping there, he also went on to say that it was 30 minutes longer than the first one, the plot is lacking and that the character of Vanessa is wasted. Unsurprisingly, Fox threatened legal action against him if he didn’t remove his Tweets and so, he did. Elsewhere, Robert Burnett also chimed in on Twitter, saying, “From my perspective, with what I’ve heard, they’ve made a HUGE, ALIEN 3 blunder with the story.” Ouch! And it only gets worse, as a few other now-deleted Tweets from various users also pointed to the same issues. Again, given that this is all coming from a test screening – the purpose of which is to fix and improve a film before release – we wouldn’t start getting worried just yet. 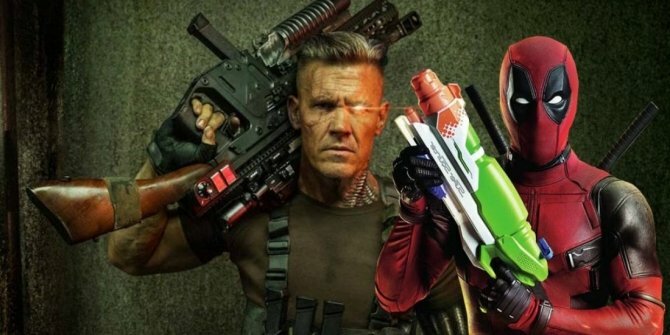 After all, comedy sequels are notoriously tricky to get right, and with two new major players being added into the mix here – Cable and Domino – Deadpool 2 was always going to have a tougher time balancing everything than its predecessor. Still, we’ll remain hopeful that director David Leitch and co. were able to pull though and put together something that can live up to the original. Deadpool set a high bar, to be sure, but the trailers and marketing have all been pretty promising and given that this is one of Fox’s most lucrative properties at the moment, we’d be shocked if they dropped the ball here.